Ministers are “sleepwalking to another blunder” after more than 120 police call handlers had pay cuts of up to £6,371, according to the Scottish Liberal Demorcrats. MPs will “kill off” any prospect of a no-deal Brexit in crucial House of Commons votes next week, the Liberal Democrat leader has predicted. 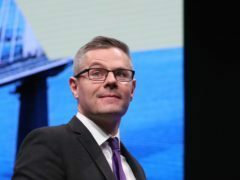 Labour and Conservative politicians at Holyrood could be poised to quit their parties in the wake of the creation of the new Independent Group of MPs, Scottish Liberal Democrat leader Willie Rennie has claimed. Brexit negotiations will “cripple” the UK for years, even if Theresa May does manage to get a Withdrawal Agreement approved by Parliament, the leader of the Scottish Liberal Democrats has warned. Liberal Democrats will make a fresh attempt to persuade MPs to back a second Brexit referendum – with leader Sir Vince Cable reaching out to members of the new Independent Group for support. Changes to police call centre pay and conditions “threaten the stability and morale” of staff, Scottish Liberal Democrat leader Willie Rennie has warned. Political party leaders in Scotland have joined forces to support a campaign aimed at beating loneliness. A “dramatic cut” in the use of restraint on disabled schoolchildren has been demanded by the Scottish Liberal Democrat leader. 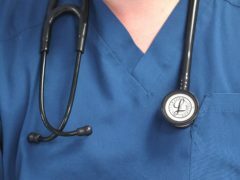 NHS Scotland is planning to consolidate its IT systems into one in a move it hopes will cut waiting times and improve patient care. The Scottish Government has launched an economic action plan, including an £18 million fund for advanced manufacturing and the piloting of two new “productivity clubs” for businesses.